Papua New Guinea’s (PNG) rural population is highly dependent on small-scale agriculture for its food security. This is potentially threatened by severe weather like the 2015 drought, both directly through crop failure, and indirectly through increases in insect pests. Forest-dwelling communities rely on forest products in times such as these, but the degree of this reliance, and its impact on the forest ecosystems, is not clear. Following the 2015 El Niño, we have an opportunity to better understand people’s responses to extreme weather events, and support the government and local communities of PNG to plan for the future by assessing how ecological and social systems interact to influence people’s livelihoods and food security. 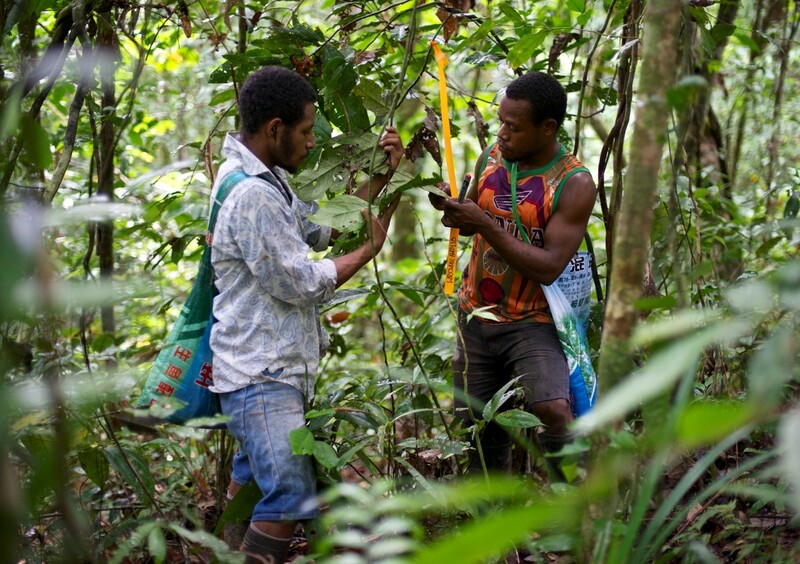 Our research aims to provide evidence to support actions to improve the resilience of PNG’s rural communities to extreme weather and climate change. 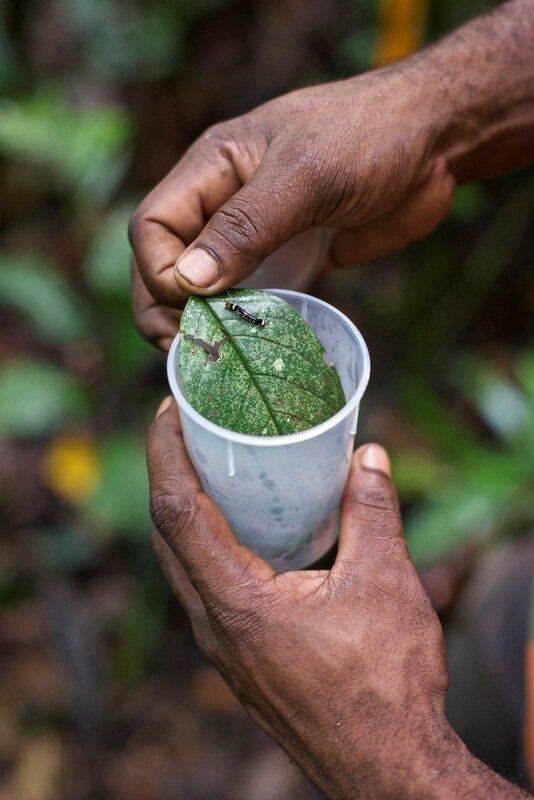 We will improve understanding of how natural ecosystems support people at times of need, both directly (e.g. through using forest resources) and indirectly (e.g. through pollination of crops). We focus on an area of Mount Wilhelm where long-term ecological studies by the New Guinea Binatang Research Center give us a strong foundation for this new research. The project combines both social and an ecological elements. On the social side, we will explore villagers’ perceptions of the impacts of the El Niño on their livelihoods, and of how they would change their behaviour under different future scenarios of climate change. On the ecological side, we will collect data on crop yields and pest pressure, to help us understand the ecological impacts of, and responses to, the El Niño. 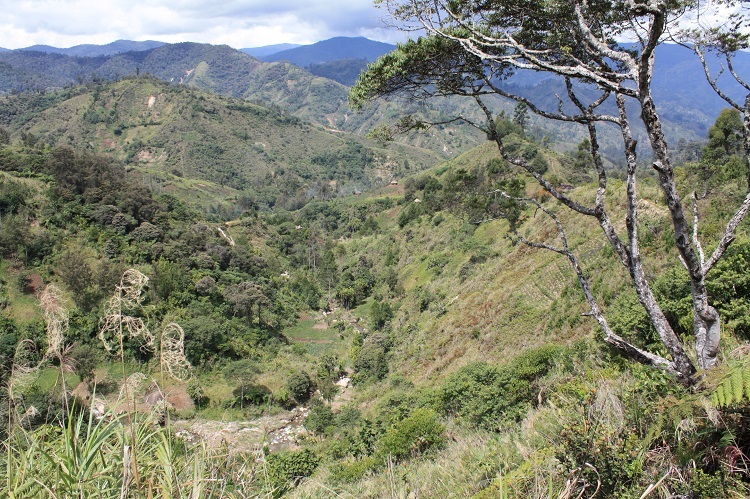 Furthermore we will investigate whether natural forests can buffer the negative impacts of the El Niño on rural food production, either directly or indirectly. 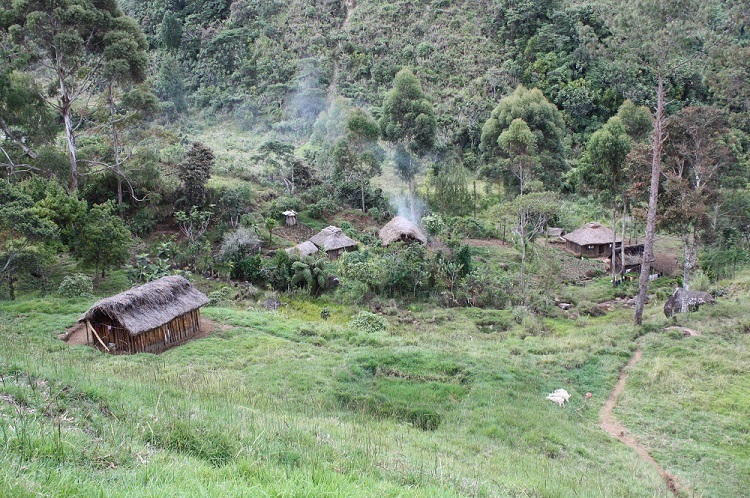 Our study site covers villages at different heights up Mount Wilhelm, allowing us to understand how elevation (which influences how cool and rainy an area is) influences the relationships between people and their natural environment. Dr Rebecca J Morris (project leader) is a Royal Society University Research Fellow at the University of Oxford. She will coordinate the project and lead the ecological data collection and analysis, and the scientific publications. Emilie Beauchamp (project researcher) is a postdoctoral researcher at the University of Oxford. She collect and analyse socio-economic data, build capacity for social data collection and support the dissemination of results to local, national and international end-users. Dr Sofia Gripenberg (co-investigator) is a Royal Society University Research Fellow at the University of Oxford. She will provide expertise on the ecological data collection and analysis. Professor Owen T Lewis (co-investigator) is Professor of Ecology at the University of Oxford. He will provide expertise on ecological data collection and analysis. Professor E. J. Milner-Gulland (co-investigator) is Tasso Leventis Professor of Biodiversity at the University of Oxford. She will advise on the social data elements of the project. Professor Vojtech Novotny (project partner) is Head of Ecology and Conservation Biology at the Czech Academy of Sciences, Professor of Ecology at University of South Bohemia, and Director of the New Guinea Binatang Research Center. He will lead the field research element of the project. This project is funded by the UK’s Natural Environment Research Council (NERC) and Department for International Development (DFID) through their Understanding the Impacts of the Current El Niño Event research programme.